glamorous cities, villages steeped in tradition and interesting natural scenery. The Commonwealth of Independent States (CIS) was founded in 1991 and incorporates about a dozen of the successor states to the former Soviet Union. This enormous expanse of territory is home to a large number of large and small rivers which are accessible for cruises. These rivers include the Dnieper, which flows through Russia, Belarus and Ukraine. The Moskva is a river of 502 km in length in the European part of Russia and is part of the catchment area of the Volga. The Volga itself flows for around 3534 km through the European part of Russia. The Lena, on the other hand, is to be found in the Asian part of Russia, in Siberia. The very short river Newa rises at Lake Ladoga in Russia and discharges after 74 km into the Baltic sea at St Petersburg. The Amur is a 2824 km long river which flows through Russia and China. 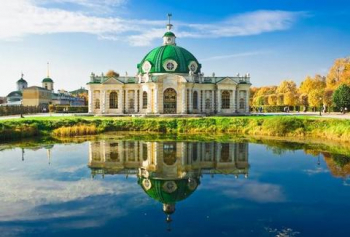 On a CIS River Cruise you can discover the diversity of Eastern European and Russian territory: impressive cities, extreme climatic conditions, unspoilt nature, valuable resources, insights into the history and present-day life of Russia, the greatness and the sublimity of Russian arts and culture, and the Russian landscape to boot. Open yourself up to impressions rich in contrast - and all that in combination with the very best levels of service and comfort on board our homely, specially built riverboats.